I woke up in a sunny Sunday morning of a warm late October. 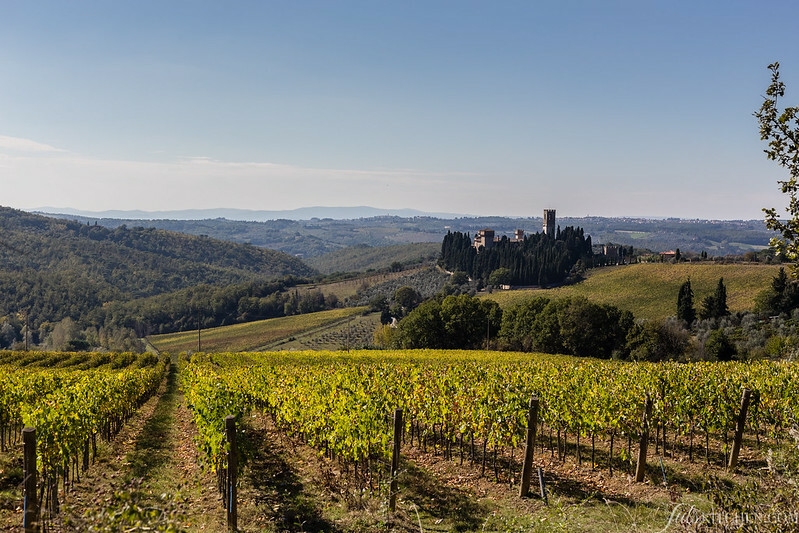 It was the perfect day to have a short trip to Greve in Chianti to visit the monthly farmers’ market. 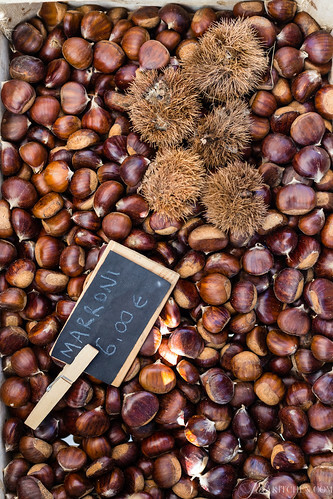 In my plans there was a quick tour and maybe a handful of good chestnuts, anything more. As soon as I arrived to Greve I had a light walk, inspired by that bright sunny day and a family lunch to be enjoyed in a few hours. An hour later I went back to the car dragging four bags full of fruit, vegetables, bread, ceramics, a wreath with flowers and berries and a few jars of preserves… My car was full, my eyes were bursting with colours and smiles, my heart overflowing with gratitude for what Mother Nature gives us, from season to season, and my mind racing for all the ideas that were born there, among a basket of quinces and a handmade ceramic pot. Beautiful and firm chestnuts from Casentino and Mugello closed a few family lunches and dinners, roasted in the wood oven just after the pizzas with their sweet, smoky taste. 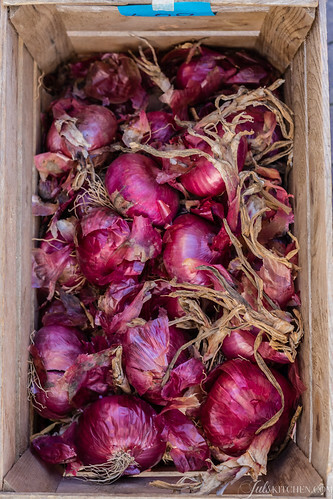 Onions were charming in their brilliant pink and purple skin, they seemed to come directly from a fashion show. Everything was fresh, alive, ready to be turned into something good that could give comfort and love. 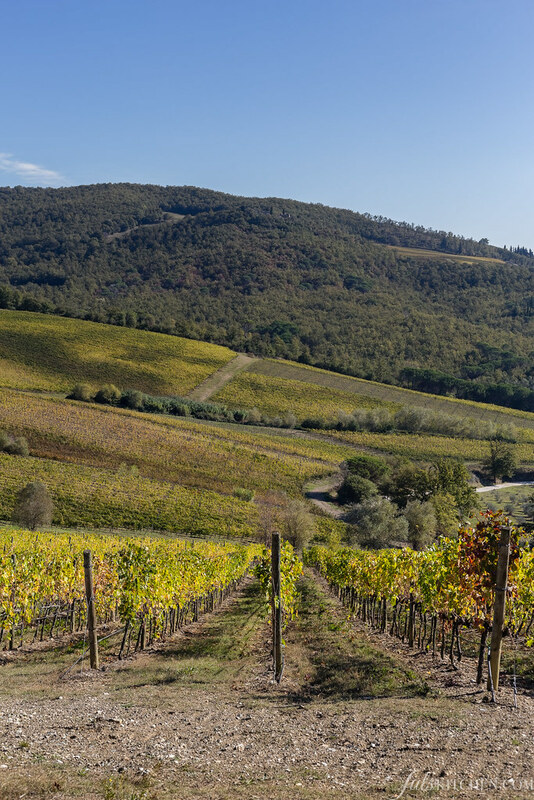 This abundance comes from Il Pagliaio, which in Italian means hay barn, an organic and antiques market. 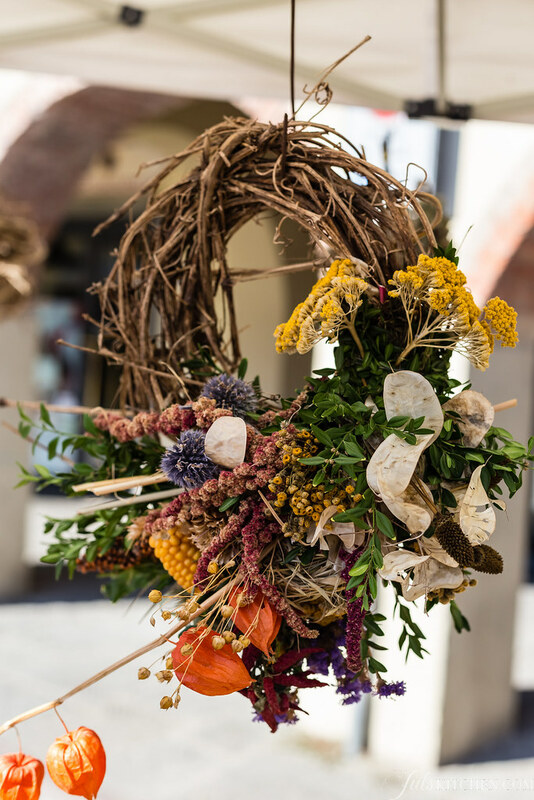 The market is held every fourth Sunday of the month in Piazza Matteotti in Greve in Chianti, in the same square where there’s the famous butcher shop Falorni, which has already appeared here on the blog. 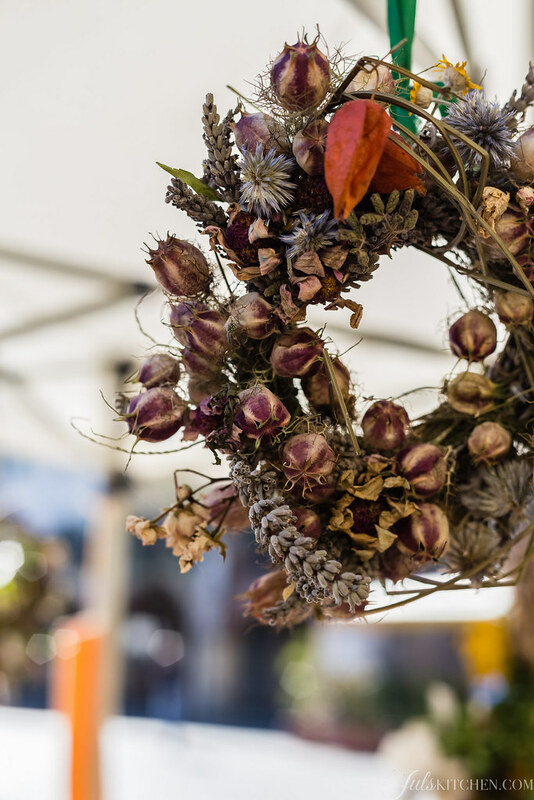 The square is crowded with more than forty producers, selling local fruit and vegetables, bread, cookies and cakes, wreaths, olive tree boards, ceramics, saffron, herbs, soaps, wine and local extra virgin oil. 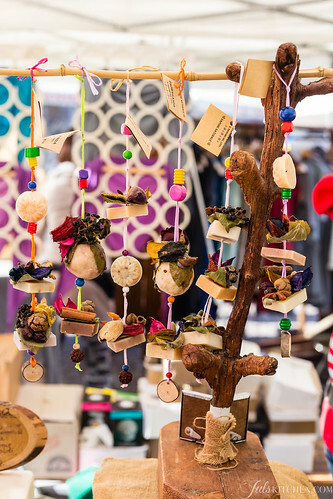 Each month the market chooses a theme and offers workshops, talks and demonstrations. 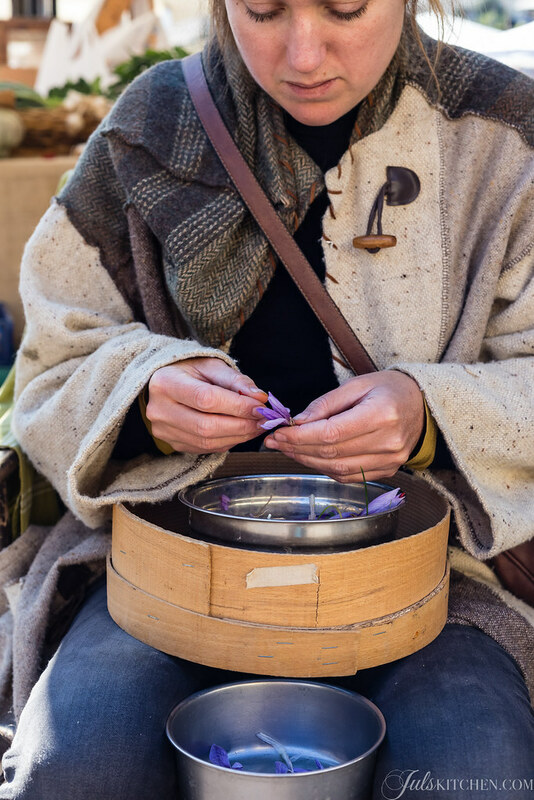 In October the market was dedicated to wool, and it was possible to see the yarn, the spinning wheels and learn to knit. The market is unique. 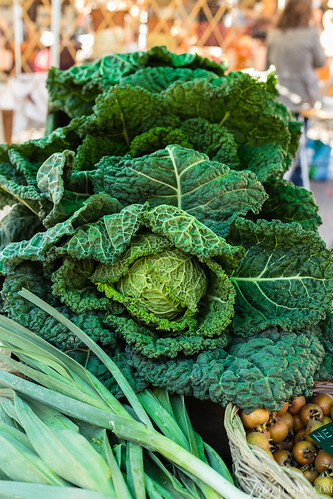 All products are local, fresh, organic, hand-made or home-grown directly from the producers, with whom you can chat, share tips and advice and interesting recipes. Il Pagliaio will return again on Sunday, November 23rd and will be dedicated to street food. Do not miss the latest 2014 edition, otherwise you’ll have to wait until next spring, with a milder climate and the rebirth of Nature and its products. … then I found them, quinces, clumsy and awkward, but with a gentle soul. 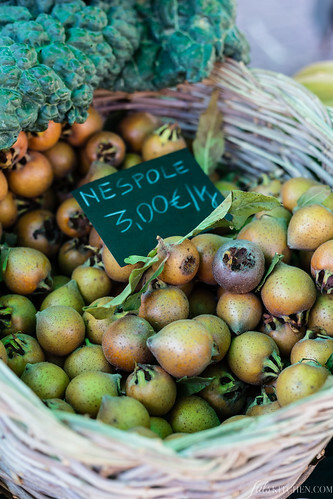 When I saw them, well arranged in wicker basket on a market stall, I had a vision of me in the kitchen, among steam and cauldrons, making a quince paste which could be the first step of my homemade gifts for Christmas. This year – like every year, after all – I’ll make jars, little treat parcels, bags of biscuits, cakes and chocolates, scented salts and flavored vinegars. These edible gifts make everyone happy: they are cheap, show love, care and attention and they never go out of fashion. So let’s start from here, and then gradually we will see what it’s going into the gift basket for friends and family. The first time I attempted to make quince paste I carefully peeled all the apples, took out the seeds, then followed the same directions and ingredients of this recipe. I obtained four jars of a thick, deeply scented jam. It was jam. We happily enjoyed it generously spread on wholemeal bread for breakfast, or to accompany an aged cheese, but there was no way to dice it. Then I discovered the secret. You must patiently pass the cooked quinces through a vegetable mill, without removing skin and seeds, in order to take advantage of pectin, a great thickening agent contained in the seeds. It’s a labour of love, it takes time, but the result is guaranteed! If you prefer instead a soft jam, omit this step, peel the quinces and remove all the seeds, then proceed to sterilize jars and fill them up as you would do in any preserve. Rinse quinces under running water, put them in a large pot and cover them with water. Bring the water to a soft boil and cook the apples for about an hour, until they are soft but not collapsing. 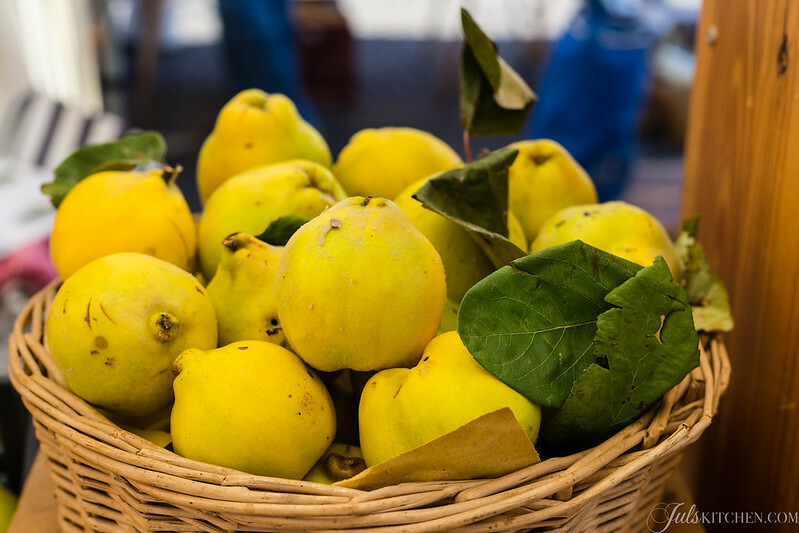 Remove quinces from the water and let them cool slightly, then cut them into pieces and pass them through a vegetable mill. This is a labour of love, but the result is guaranteed. 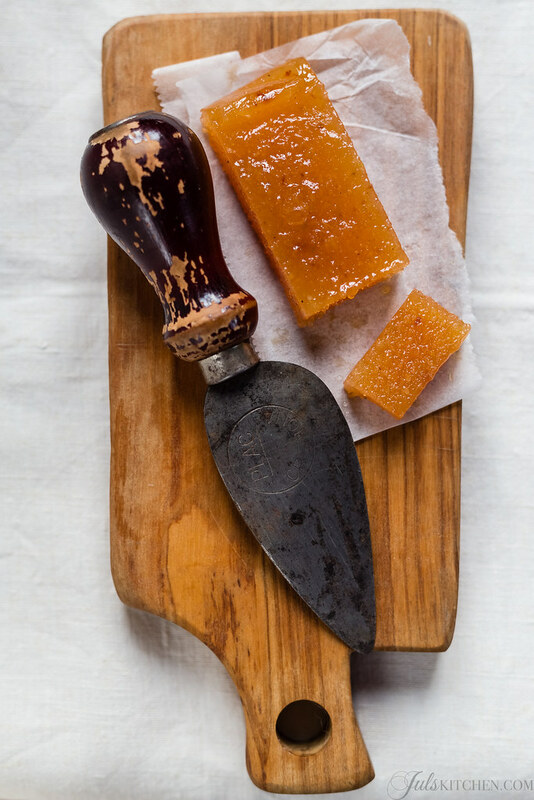 The pectin will thicken the compote, allowing you to cut it into cubes. Spoon the quince pulp into a pot and add the same weight of sugar: I had about 500 g of pulp, so I used 500 g of sugar, but it will depend on the quality of the quinces. Add also the lemon juice, which will help the work of the pectin. Put the pot on the stove again, on low flame, bring it to a simmer and cook for about half an hour, stirring frequently with a wooden spoon, until the compote will turn into a pretty pinkish orange colour. It will be still quite soft. Line a rectangular baking dish with parchment paper and spread the quince paste in a 2 cm thick layer. Let it cool completely, then place it in the refrigerator until completely set. * Weigh the apple pulp and use the same amount of sugar. It can change form time to time. I had about 500 g of quince pulp so I used 500 g of sugar. Once the quince paste is ready and set, you can dice it and wrap each cube in wax paper: place these old time candies in a big jar or in a paper bag for a timeless Christmas gift. If your friends are gourmands and curious eaters, keep the quince paste in a bar, wrap it in parchment paper and add it in a basket with a good aged cheese and some home made oat crackers. 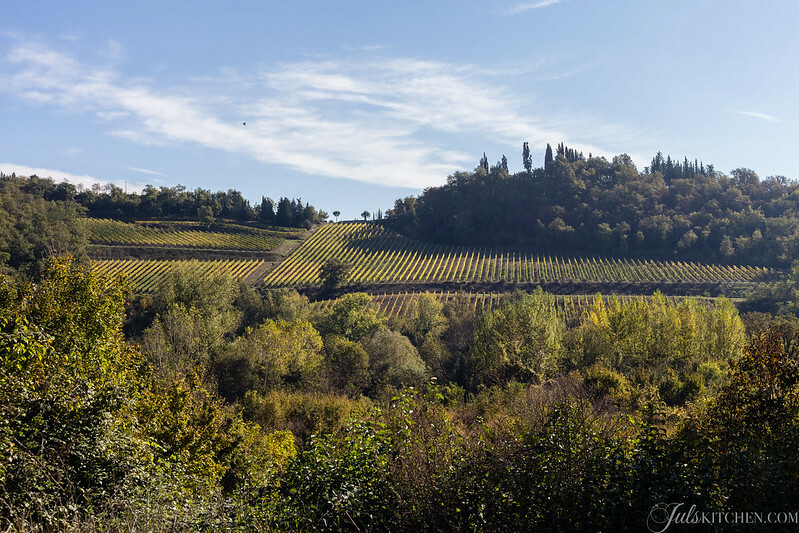 These landscape pictures were taken a few weeks ago all around Greve in Chianti… in a few days I’ll show you how the landscape changed in colours and charm, and we’ll discover a very unique local produce. Beautiful produces, landscapes, pictures and delicious looking quince paste! We stayed 2 nights in Greve. Lovely town! How do you store the paste so it will last till Christmas? Can it be stored at all? Definitely yes. Store them in the fridge up until Christmas and after! Giulia, I have a very prolific quince tree in my yard and make quince paste every Autumn. 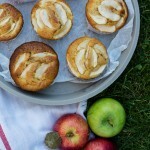 I like to bake the quince in the oven, which means less liquid to get rid of when you cook down the pulp. I put them in a covered baking dish, whole and unpeeled. After they are soft, the peel slips off and the core is easy to pull out. I put the quince flesh in the food processor and whizz until smooth, then cook in a pot on the stove with sugar, lemon and vanilla. I have also canned the paste by processing in a water bath canner. It works great! Hello Dede, thank you so much for your ideas, I will remember this for the next season, it looks like the best way to make a great quince jam!